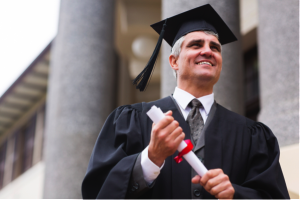 Imagine if you and ALL your people always had exactly the skills, knowledge, insights and advice that you needed EXACTLY when you needed them – instantly available 24/7 and proactively brought to you in a format that suits your mood, situation and preferred learning style. This could be a short video, a specialist article, an automated coaching intervention or maybe a set of succinct one liner top tips, each hyperlinked through to more detail. All integrated with a bespoke personal and business development plan that dynamically develops you (& them) to become the best you can be. Inspiring your people, boosting business performance, positively addressing under performance, managing conflict, mindfulness and reducing stress whilst improving life/work balance. Imagine if your employees were deeply engaged and passionate about your business, striving to innovate and delight your customers everyday and proactively recommending it as great place to work – because of how you and your management help them and their family and a charity of their choice to achieve and celebrate more success with less stress. 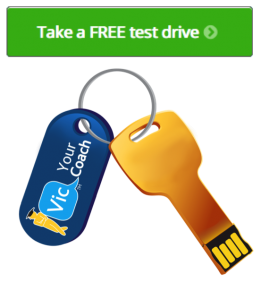 Click the image below to watch the Demo of Vic your Virtual Interactive Coach. Click the image below to take the system for a “Test Drive” to experience it’s special features.